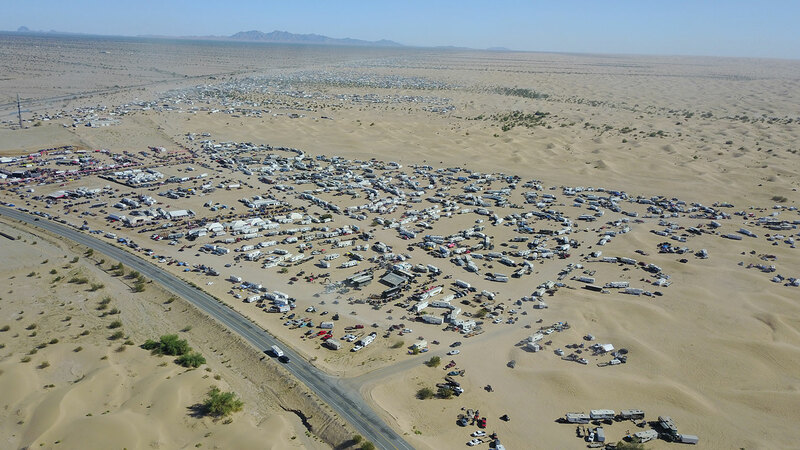 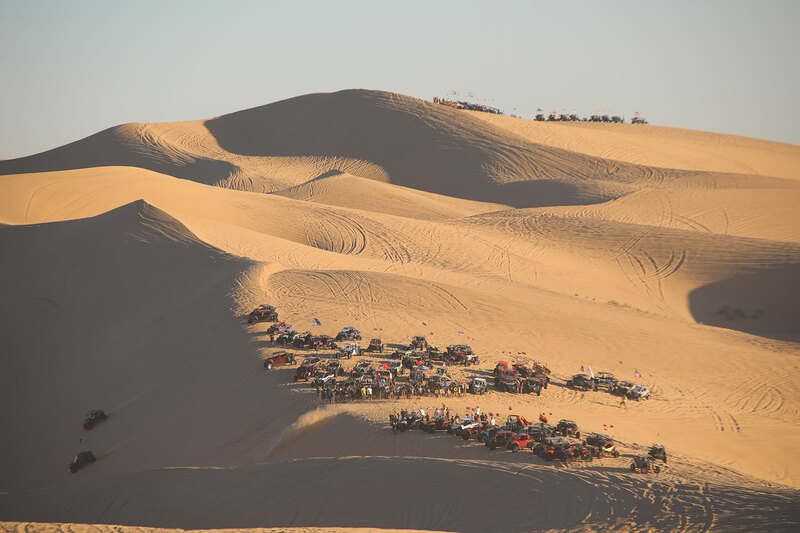 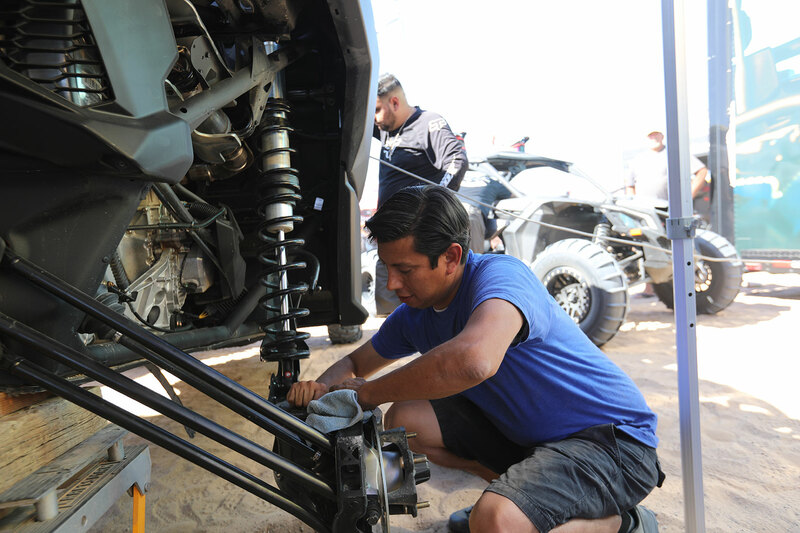 Its endless, towering sand dunes are the perfect moonscape for off-roading fun and every year close to 100,000 UTV-hauling participants and spectators converge on the small town of Glamis in California for some sand-blasting action. 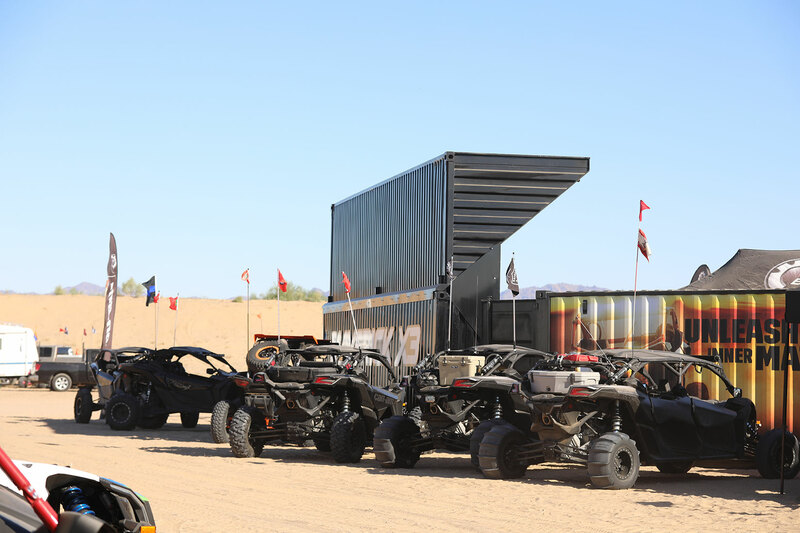 This is a huge event, with participants coming from all over the southwest to ride a special Can-Am trail laid out for them in the wild, untouched dessert (if they dare to!). 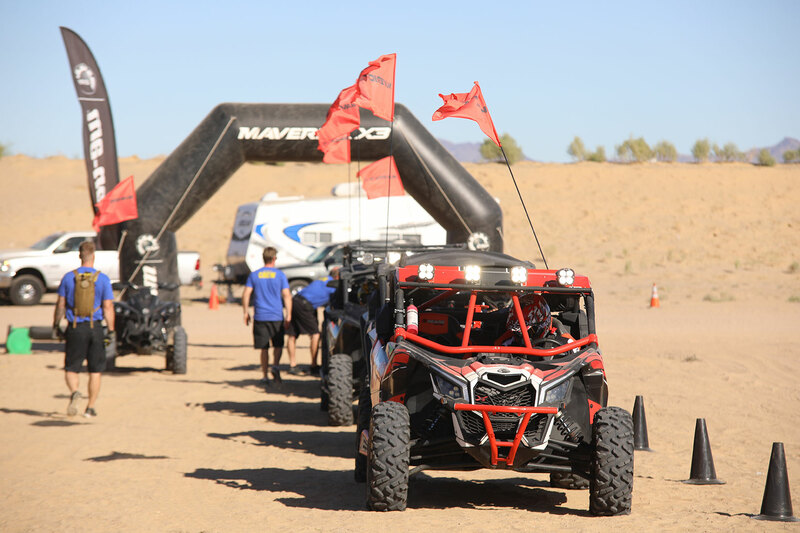 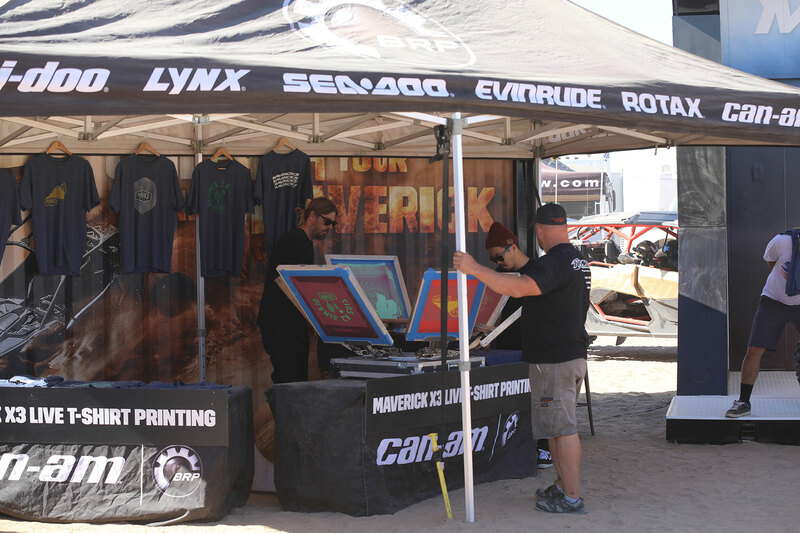 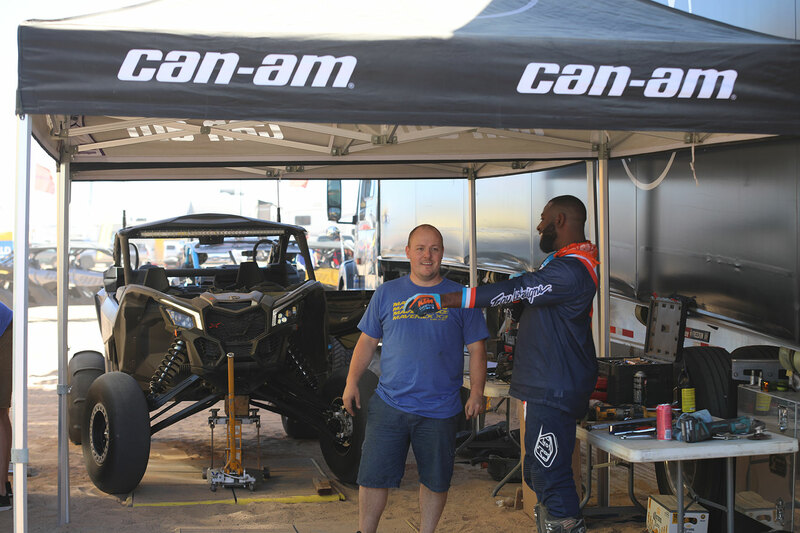 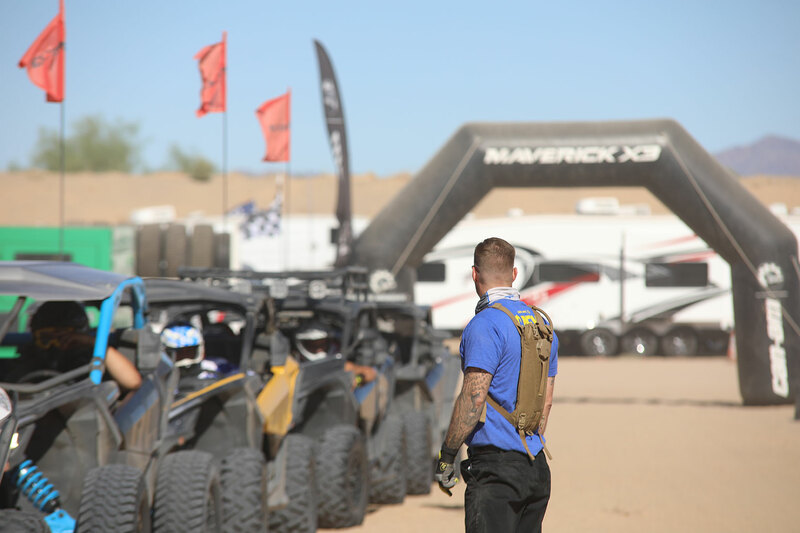 In addition to a special course for sport UTVs like the Can-Am Maverick, fans got to compete in a customization competition, showing off their radical mods and wicked paint jobs. 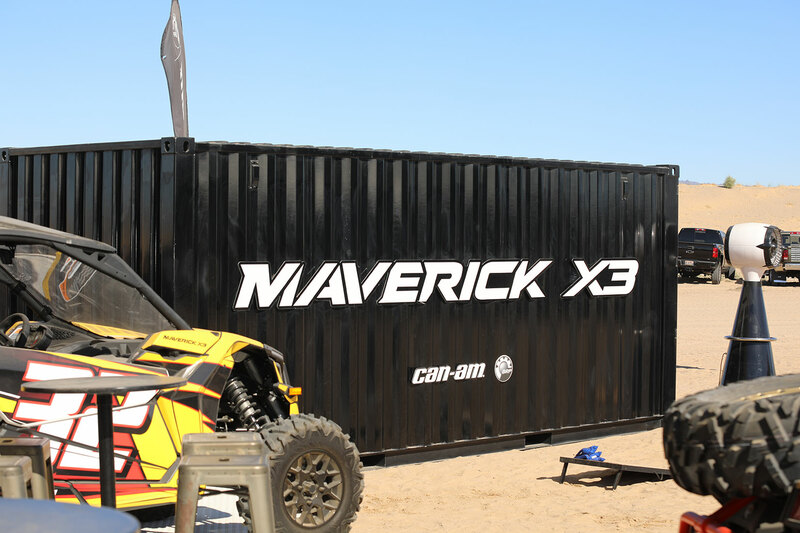 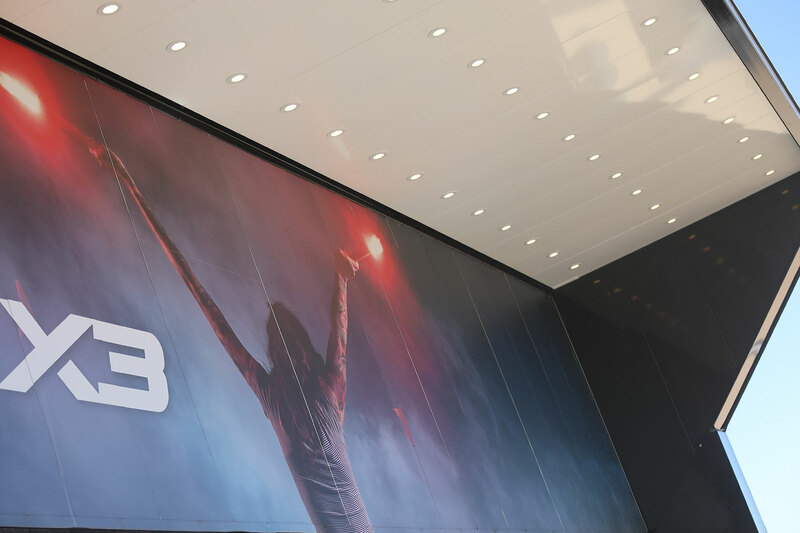 Once again proving its experiential marketing prowess, Loki helped Bombardier Recreational Products (BRP) stand out in this unique environment with its distinctive container architecture. 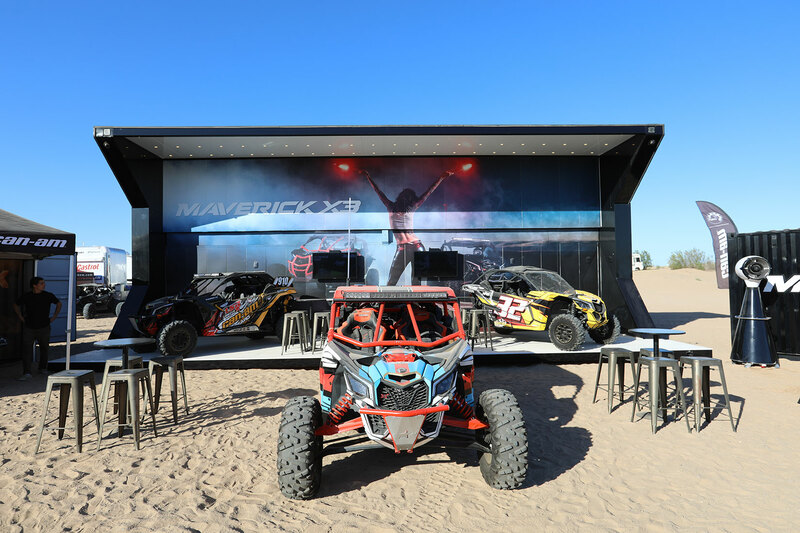 Surrounded by sprawling desert, the brand activation’s 16-foot-high main module was designed to be seen from a distance. 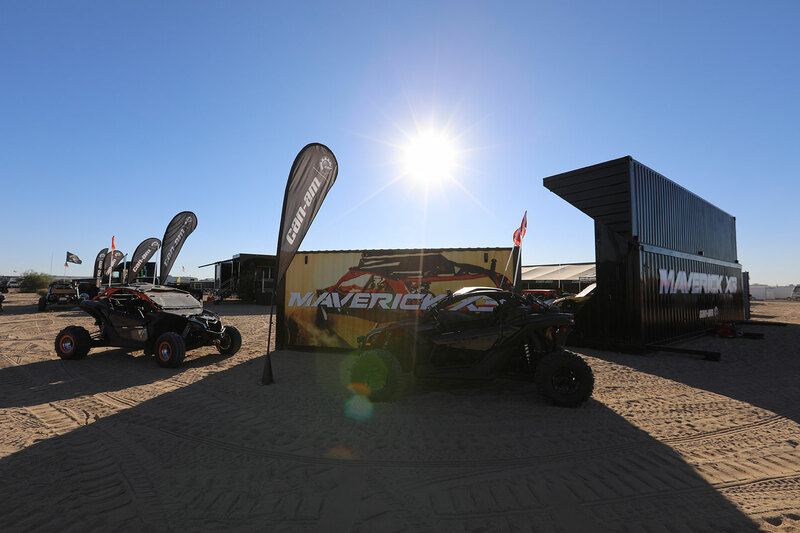 Live demonstrations and product testing let visitors get a true feel for the off-road vehicles’ features and capabilities in a strong product experience. 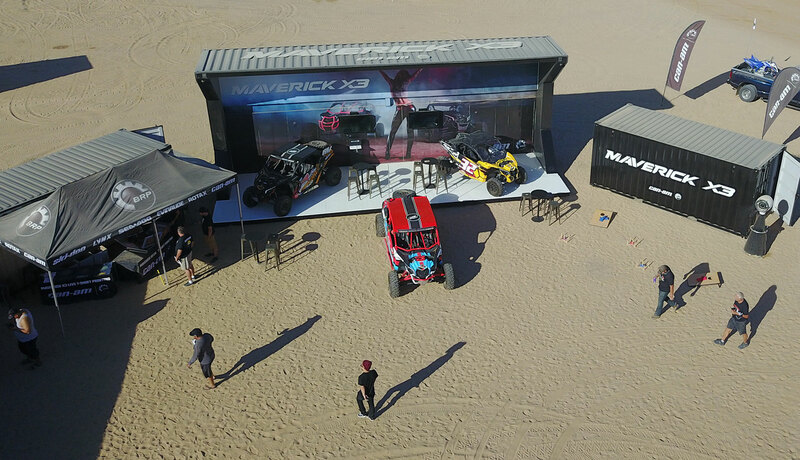 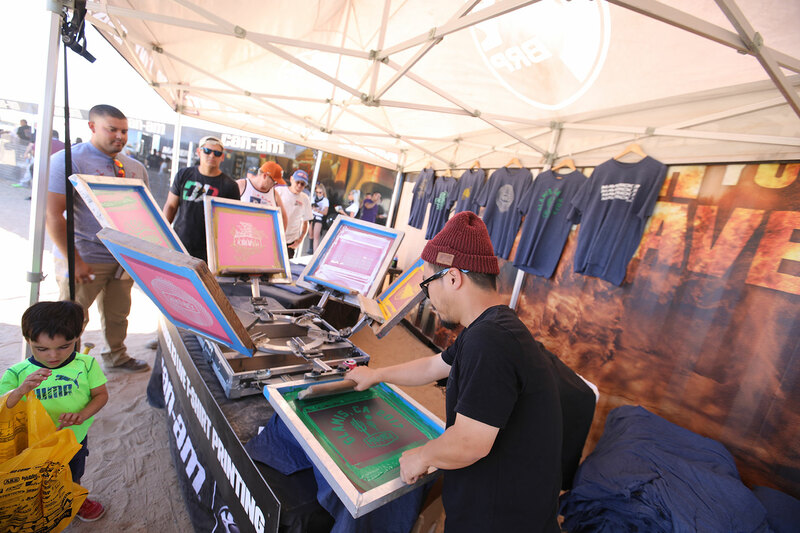 The setup included several all-black, industrial-chic mobile showrooms laid out in a horseshoe shape, some with canvas awnings to keep out the sun and sand. 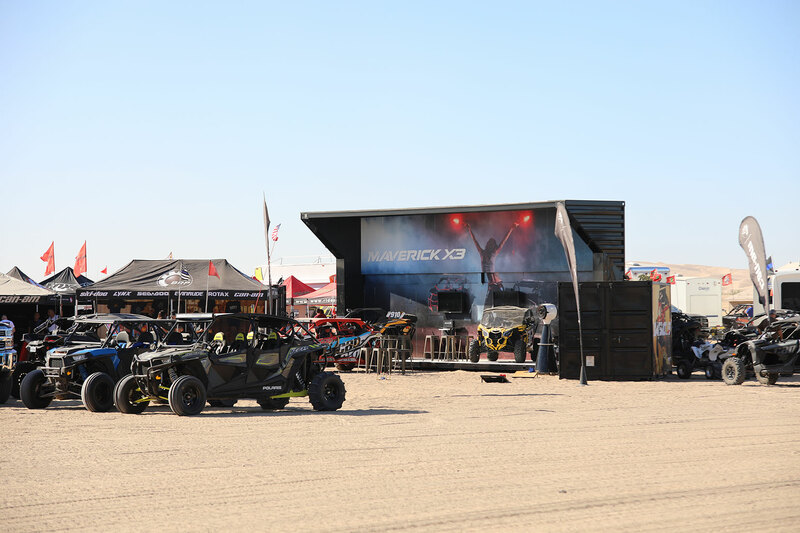 The main section was set like a stage, with a larger-than-life backdrop of a race set to begin and several large screens streaming videos of the recreational products BRP offers. 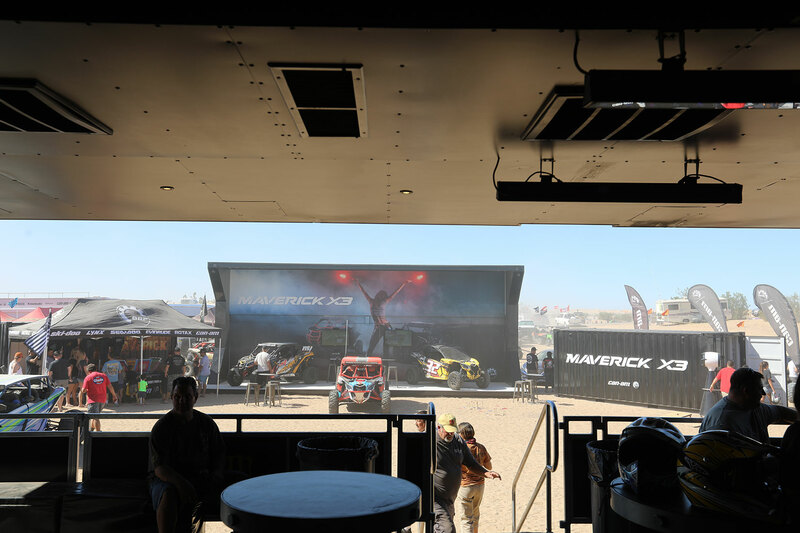 At the end of the day and when the show’s over, the top of the structure transforms back into a shipping container by folding smoothly down, making it easy to move to the next event. 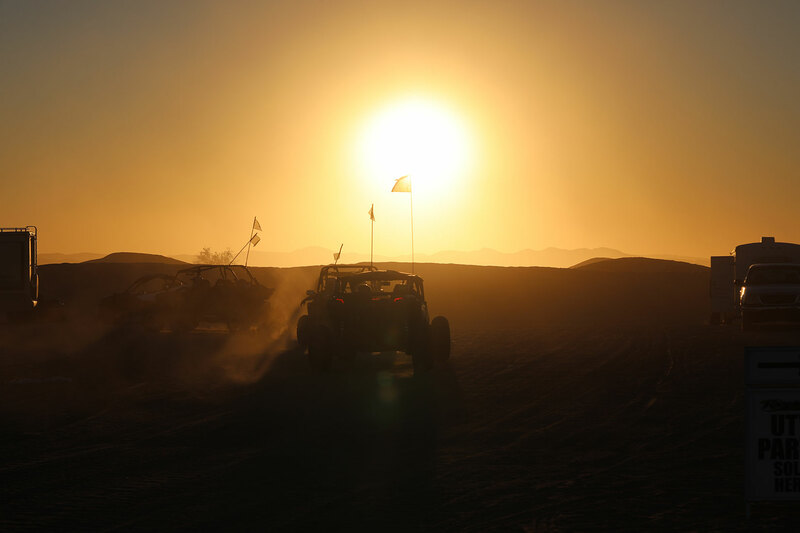 It’s quite captivating to watch! 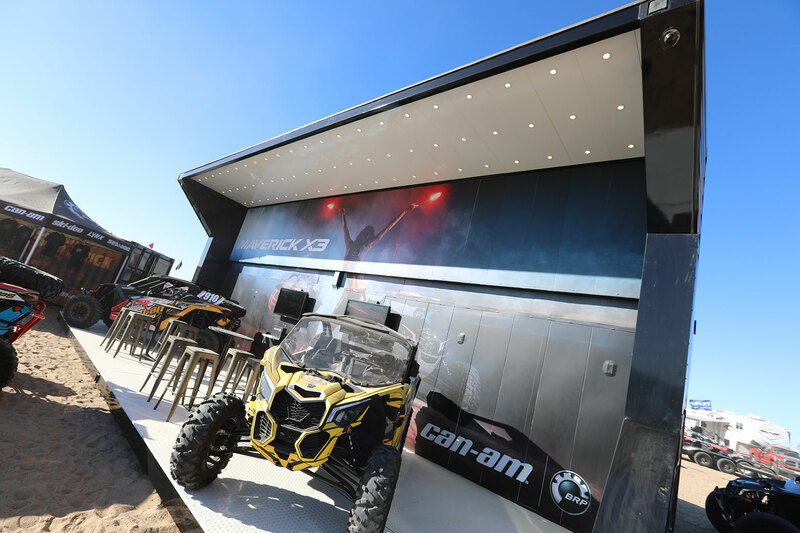 Seen from miles around, Loki’s structures attracted many thousands of visitors throughout the three-day event, demonstrating its structures’ extensive consumer reach and high return on investment.